Stay current on financial markets. 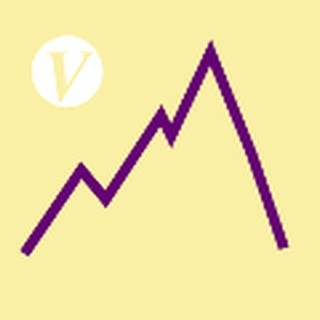 Get valuable investing insights and retirement tips. 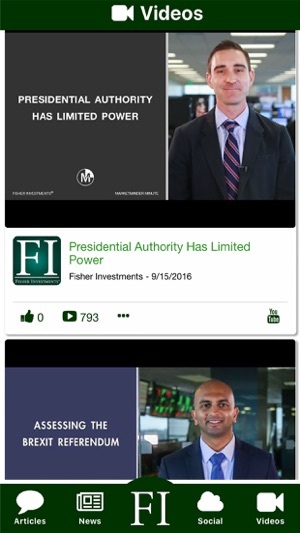 Get the Fisher Investments App! 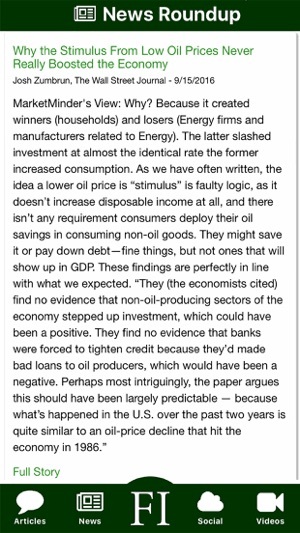 • Daily News Roundup – a collection of third-party news stories we believe investors should either pay attention to, or ignore, along with Fisher Investments’ point of view. 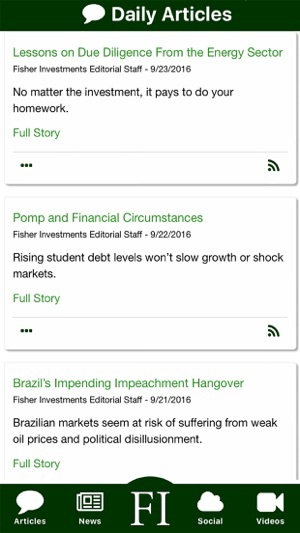 • Daily Commentary – each day, Fisher Investments’ editorial staff discusses important market events and key economic issues. 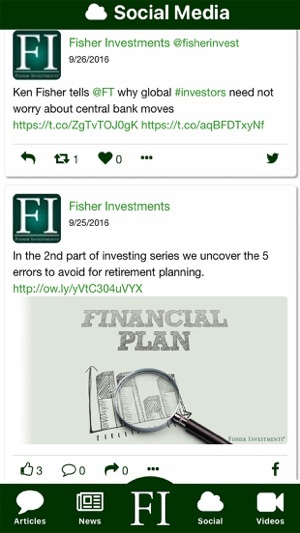 • Social Media – get all Fisher Investments’ social media posts in one convenient place, with valuable investing insights and retirement tips. • Videos – access videos from our YouTube channel, including roundtable discussions with the firm’s Investment Policy Committee, and other educational content. iOS12 upgrade and bug fixes. This app is useless. 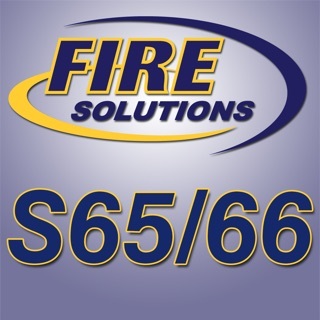 It’s just information on investment advice that can be found just as easily on the net. 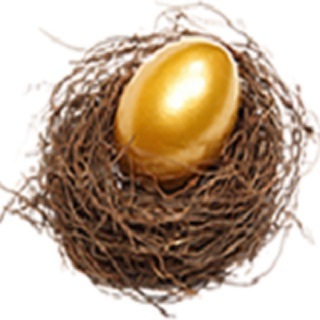 I want and need quick access to my Fisher managed 401k and Roth IRA accounts. Get with the times. It’s 2018 for goodness sakes! Previous review was spot on. This is just advertising stuff.